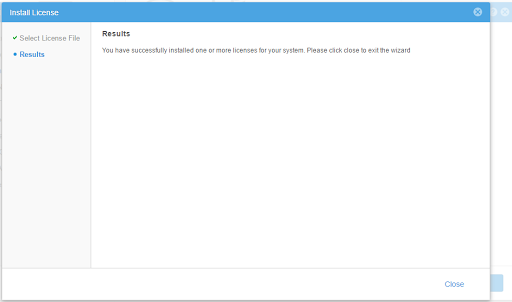 Deploy the OVA downloaded “UnityVSA-4.0.0.7329527.ova”. 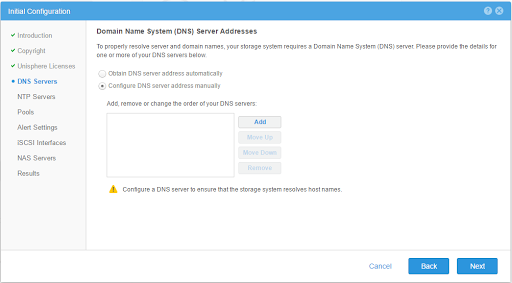 I am not going to provide the steps to deploy and OVA since this is pretty straight forward and nothing really to configure except for management and data ports and management IP address. 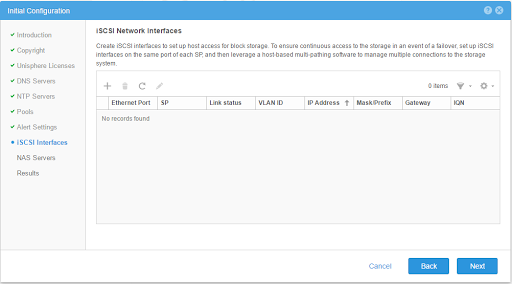 After deployment is completed and VM powered on, open a browser and point to IP address specified during OVF deployment. You will be presented with a login screen. 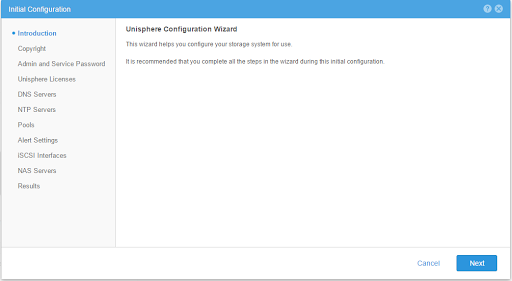 Wizard will appear for initial configuration. 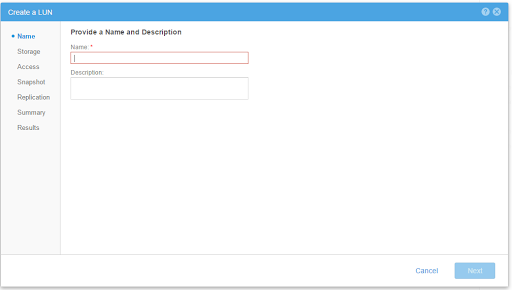 Specify password to replace the default. 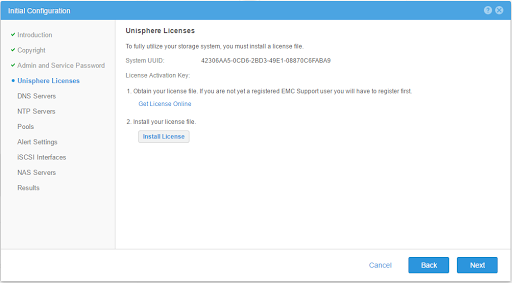 Download the license file and install it. 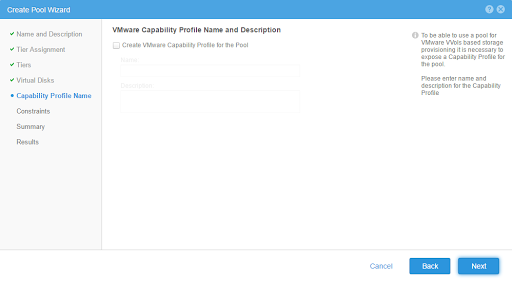 Pools can be configured here but you do you require a manually created VM disk. 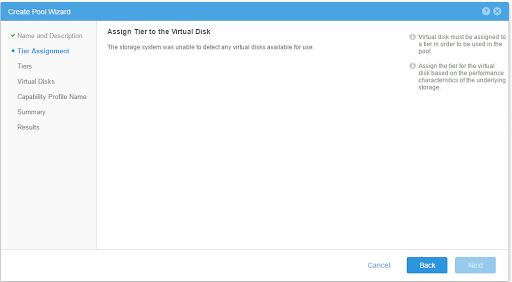 If you have not added the new disk within vCenter for the VM then I would recommend just skipping this step for now. This can also be performed later but I created this on the data network ports i specified during the OVF deployment. Creating NAS server but this can be done at later time. Initial setup is now completed, yay! 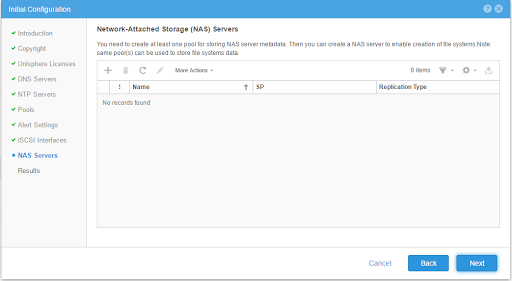 Next step is to setup your storage to used by the UnityVSA. 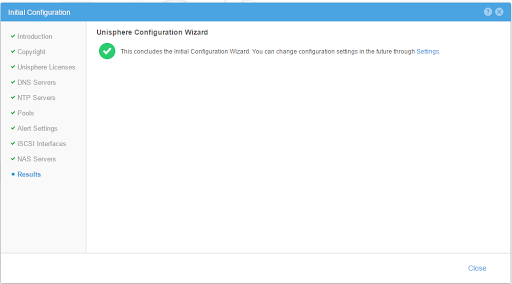 This is very easily accomplished through vCenter server. Wait 60 seconds for UnityVSA to recognize the new storage. Select the newly create disk, and make sure to select the storage tier. 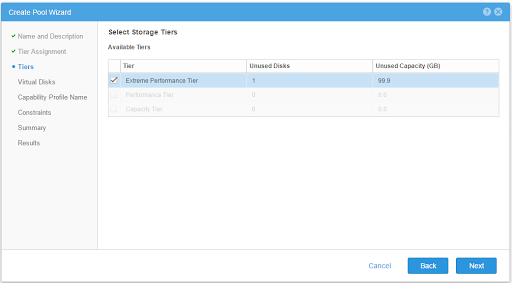 After select the Storage tier, press either enter or anywhere else on screen to make the Next button available. 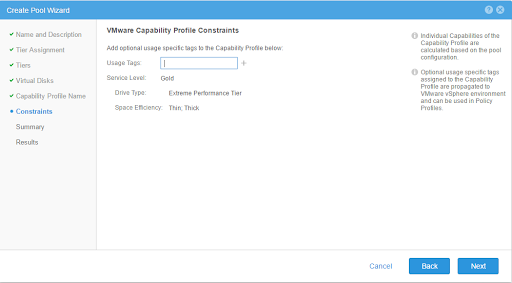 Create Capability profile. This is a set of storage capabilities for VVol datastore. 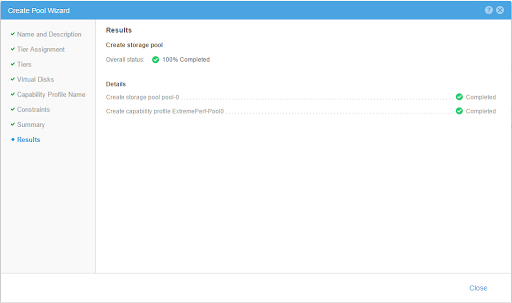 The capabilities are derived from the underlying pools so best practices is to configure it during pool creation. 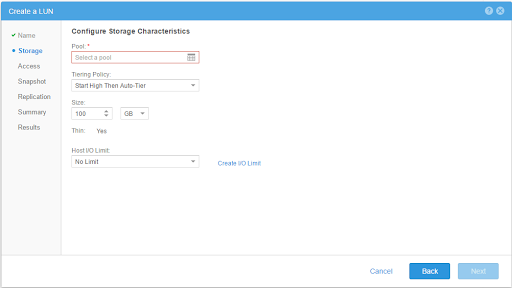 Capabilities needs to be created before you can create a VVol datastore. 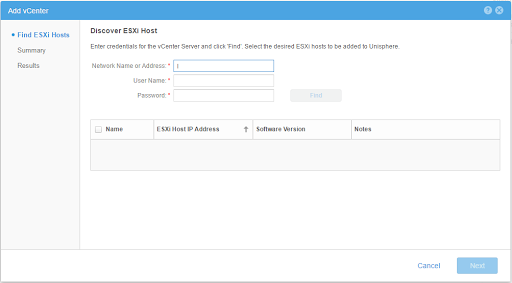 You have some options here to either directly connect and configure the ESXi hosts or connect directly to vCenter server and select which ever ESXi hosts within the environment you want to setup initiator access for. 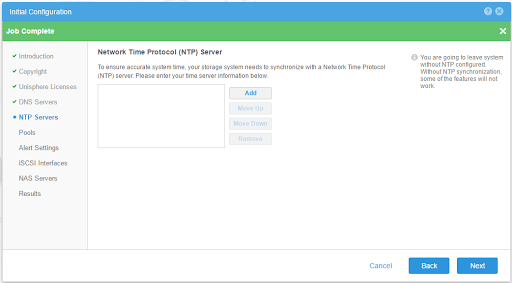 I selected the latter since easier to connect to vCenter. 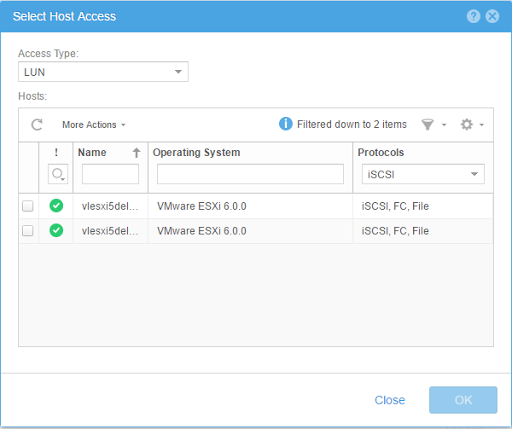 To verify the added ESXi hosts you can select Access -> Initiators. 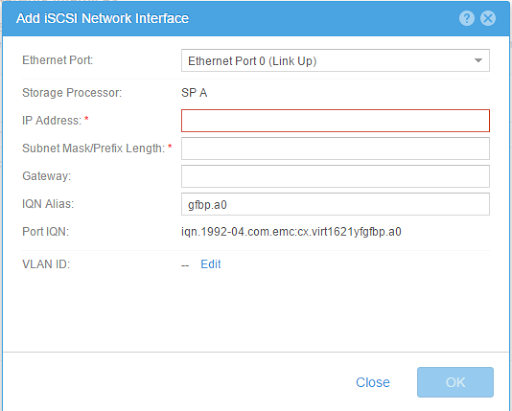 Here you can review your which will import both FC and iSCSI protocols if configured on hosts. 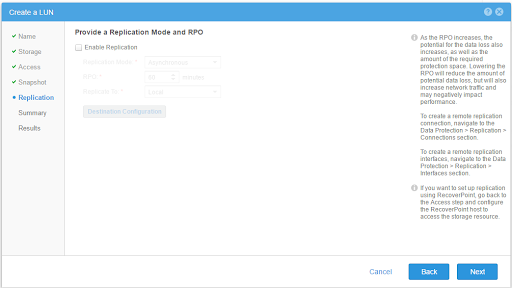 Setup replication. I will be adding another blog shortly to setup replication between two UnityVSA and using VMware SRM. Hopefully get some time here shortly to work on setting up SRM with Unity so stay tuned.